It’s raining. It’s cold. What tan I had has gone. It might as well be October! 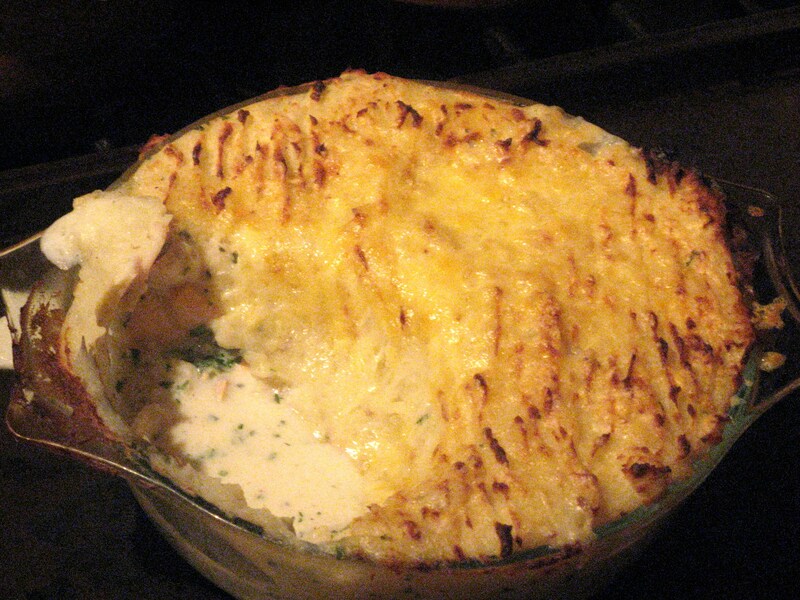 So, I thought I’d do something to warm everyone’s cockles – a hearty fish pie. It’s not the most beautiful picture but it was very tasty! 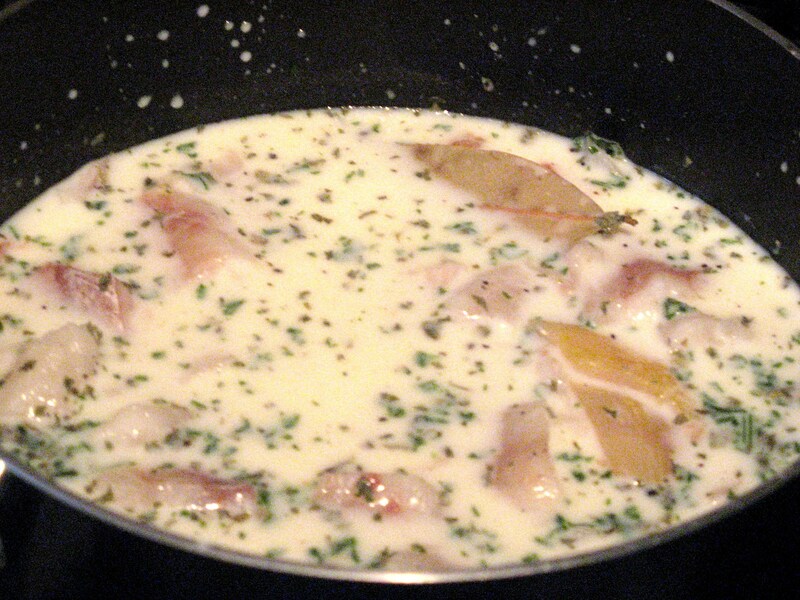 NB – if it doesn’t thicken add a little cornflour or flour, DON’T just add it pinches at a time – either sieve it or, put a teaspoon of flour into a ramekin pot and add a couple of drops of water, stir to form a paste – then add it to the milk mixture. This ensures that those eating the pie don’t get a mouthful of flour from an unmixed lump! Have a taste of the sauce – does it need seasoning?? more parsley? Some pepper? A drop of tabasco? 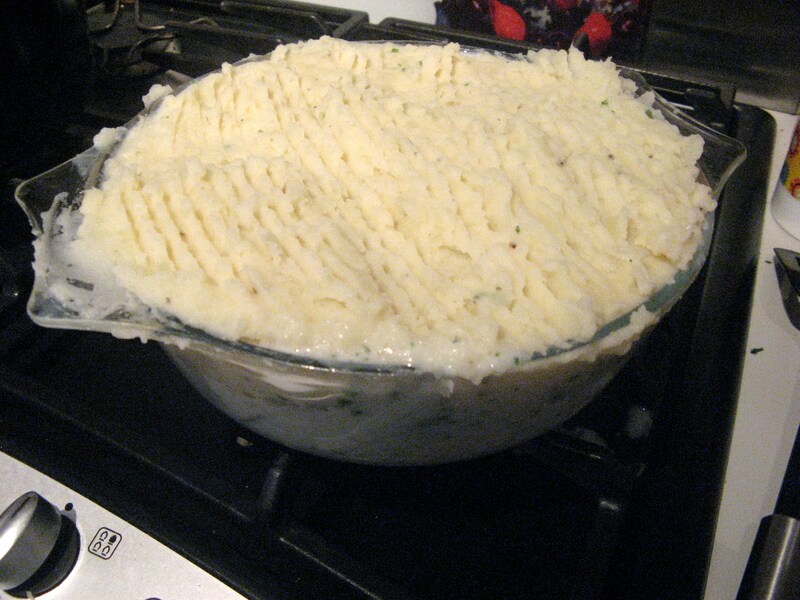 Mash the potatoes with the remaining milk – or, if you have some left; some of the sauce, and the butter.